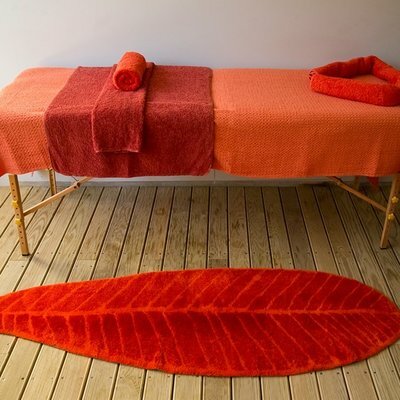 The feuille leaf pattern rugs from Abyss & Habidecor are made of 100% Cotton and come in Apple Green, Cinnamon red and Linen colors. Soft and washable. 25x73"